So the superior quality, craftsmanship, and seamless build process that you get when building a Regent Home is important to you. 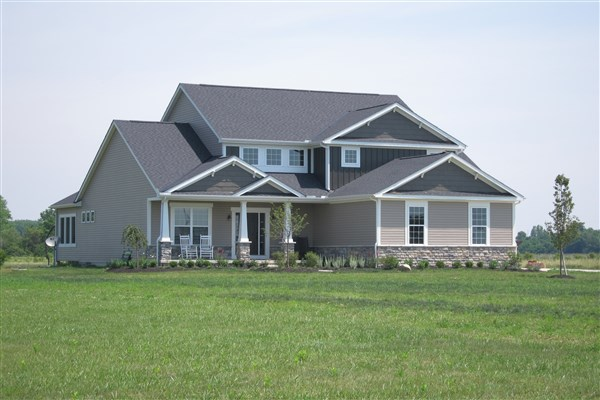 It’s just that your heart is set on building your new home on your own lot in central Ohio. No problem! When you own property that you’re planning to build your dream home on, it’s crucial that you find a builder who will cater to all your needs. Regent Homes offers the same outstanding products and services when building your own lot as if you had chosen one of our own. What Makes Building with Regent Homes Different? Other homebuilding companies may promise the world, but they don’t quite deliver when it comes to building on your own lot. At Regent Homes, we’re dedicated to maximizing the overall value of your lot during the building process and offer a helping hand in all aspects of building. The last thing you need while building your dream home is any added stress. While there is always a chance of running into a roadblock or two during the process, we’re here to keep things moving as smoothly as possible. What are my options with Regent Home Plans? We offer a number of home plan designs for your new build. Express your personal style through a wide variety of options. We design homes that are not only modern and well-crafted but also designed to be lived in. From the floor plan to the finishes, we want our homes to center around the needs of real families. …and more. Whatever you’re looking for, Regent Homes can deliver. We’re happy to offer our professional recommendations in order for you to get the most value from your lot while we build your new Regent home. Contact us today to schedule a site evaluation for your custom-built home in the greater Columbus area.